Disclaimer: I received a copy of this book from Hot Key Books in exchange for an honest review. This has not changed my views in any way. 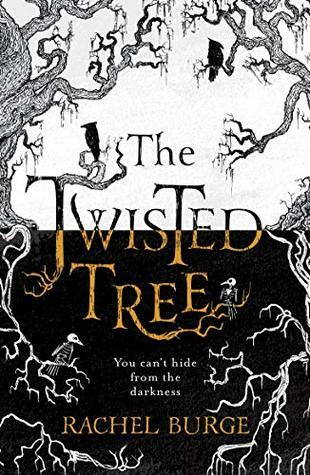 The Twisted Tree was the perfect book to read this week around Halloween! The story follows Martha, a girl who can read people by touching their clothes. She travels to Norway to visit her grandmother, who she later finds out has recently passed away. In her abandoned cabin, she finds an interesting boy hiding. Together, they will find themselves in the midst of some eventful, and creepy, times.. I really enjoyed this book and I’m so glad I read it in October. I found this read so interesting and unique, and I loved the Norse mythology and Norwegian setting. Both things are ones that I don’t often see in YA, and were great to read about. I loved Martha as a main character, and the female power in this book! Martha talks a lot about her ancestors, and it was awesome to read about the strong link between Martha, her grandmother and her ancestors before then. Martha was perfect as the heroine of this story. She was scarred, struggling and dealing with so much. I loved her flaws, and it was so interesting (and felt realistic) to read about her struggles with having a visual impairment. This book is urban fantasy, set in the real world, and I found that just brilliant. It was awesome to feel the genuine struggle of Martha and Stig coping with their struggles in the real world. I also loved reading about Martha’s mum and the rest of her family. It added an extra depth to the story that was lovely to find out about. So overall, this book was a really good read perfect for Halloween! Look out for it on January 10th!